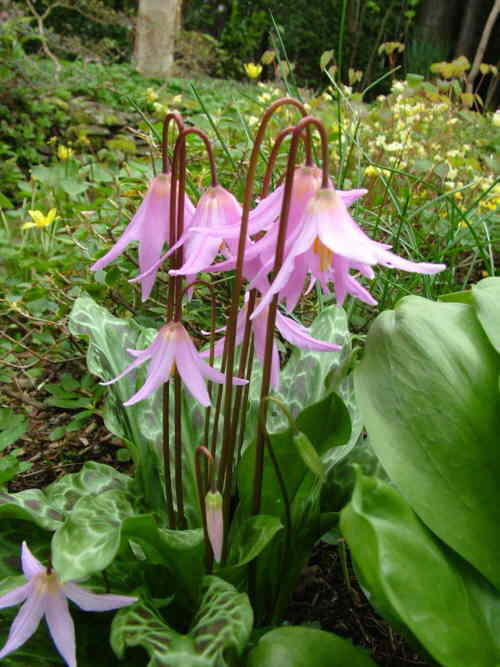 Erythronium are a truly fabulous group of plants from Europe through Asia, with the greatest diversity in North America. 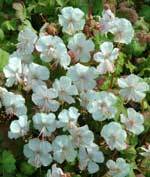 They are woodland or alpine in aspect and some i.e. Erythronium dens-canis can be in both woodland or alpine. 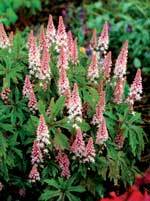 These beauties are on the whole easy to grow and will slowly multiply if left alone in a semi shaded or deciduous shade type bed. They should not be left in their pots but need to be planted out. They hate drying out so need to be kept moist at all times, so beware of dried out wisened old bulbs. 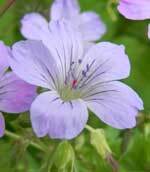 Many are raised from seed but take up to five or more years to reach flowering size so are always, for us, a long term project. 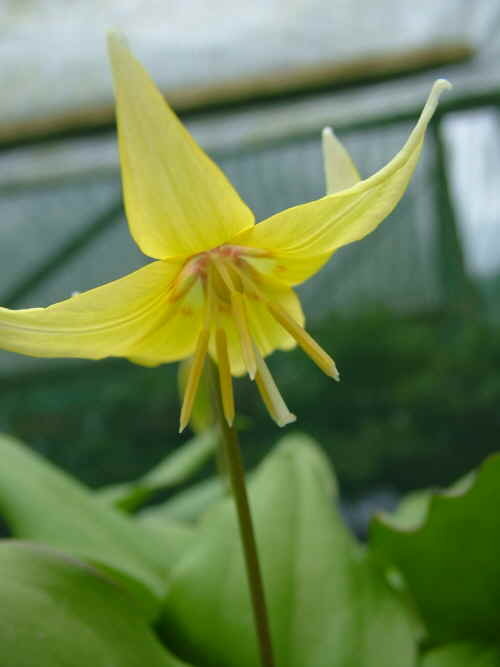 For a guide please click on the following link to view a "Guide to growing Erythronium". A PDF reader is needed. 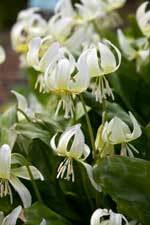 Easy and lovely form of Erythronium californicum, best of the whites for the garden. Tends to multiply at a steady rate. Slightly marbled leaves. 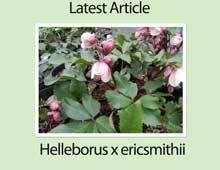 A lovely vigorous hybrid thought to be between E. californicum and revolutum raised in Scotland. Comes out white and quickly turns pink. A large growing yellow flowered species. 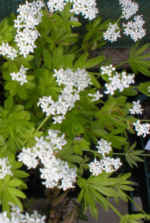 Probably the easiest in the garden. 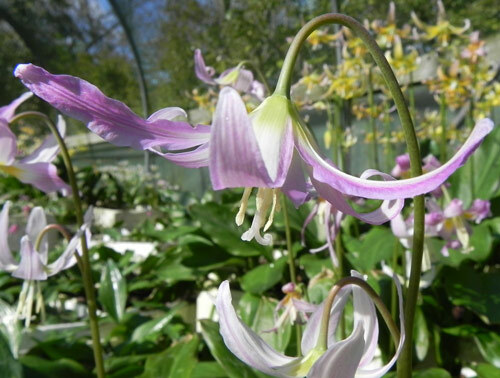 The typical species with mid to pale pink flowers in Spring, very elegant.